You’ve spotted your dream home, it’s within financial reach, all you have to do is sell your existing property and move in, right? Technically, but with estate agent fees, chains and unexpected delays, we know selling your home and buying a new one can be a long and stressful process. That’s why we aim to make it easier to move into your new home sooner than expected. We host regular events at our developments across Yorkshire and the Midlands where mortgage advisors are on hand to talk about the buying and selling options available to you. They provide information about part exchanging your existing home or accessing the government-backed Help to Buy scheme. Is part exchange right for you? Our part exchange option means we could buy your home for 100 per cent of its market value, leaving you free to buy one of ours. This means there will be no agent fees to pay and no chain, helping you move into your new home sooner than expected. With part exchange, your existing home will count towards payment for a new property. Once your existing property has passed valuation, Strata will offer a guaranteed price within five days, with the average house sale completed within six weeks. Planned budget reforms have recently been announced that could affect future buyers. But will the new scheme actually help you realise your dream of owning a new home? George Osborne said that a 10% deposit on the average first home in the UK costs £15,000. Under the new proposal, if you save up to £12,000, the Government will pay a maximum of £3,000 towards the deposit. Talk to our mortgage advisors to see how this could work for you. 4. Help to Buy event, Dominion development in Doncaster. 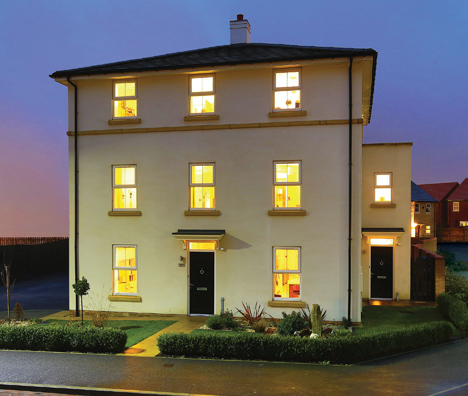 Dominion Sales Complex at Woodfield Way, Carr Lodge, Saturday, between 10am to 5pm.